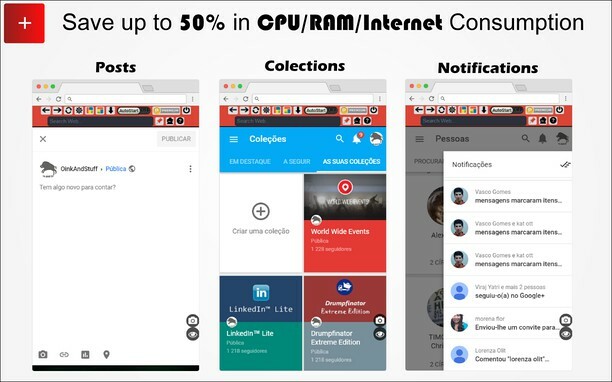 This a cleaner version of Google+™. You have full access to all news and profiles but in a minimalist interface for fast access. 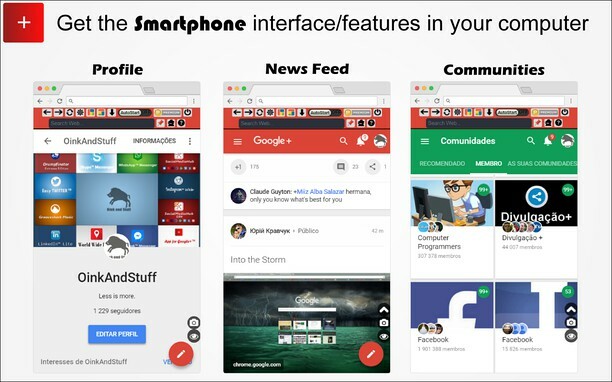 ✔ Auto-Start Google+™ when Opera™ starts. ✔ HTTPS and over Google+™ platform for maximum security. No share of credentials to third party. 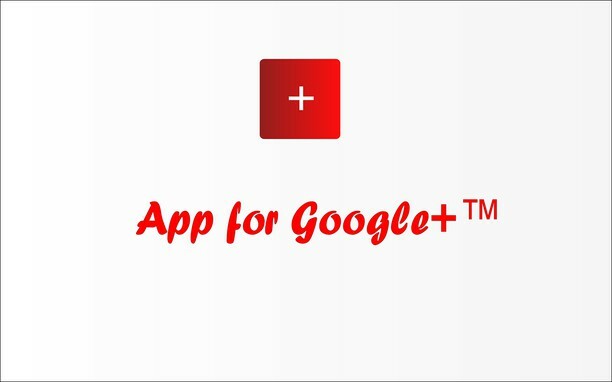 Google+™ is a trademark of Google Inc., registered in the U.S. and other countries. This is an independent project developed by Oinkanstuff and has no relationship to Google+™ or Google Inc.